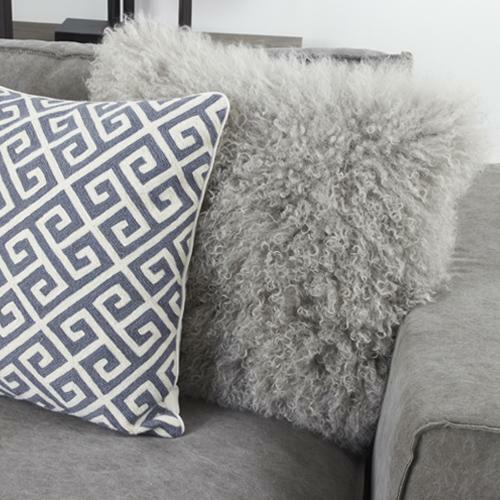 Add a touch of elegance to your indoor space with the Montreal 20in Greek Key Accent Pillow. 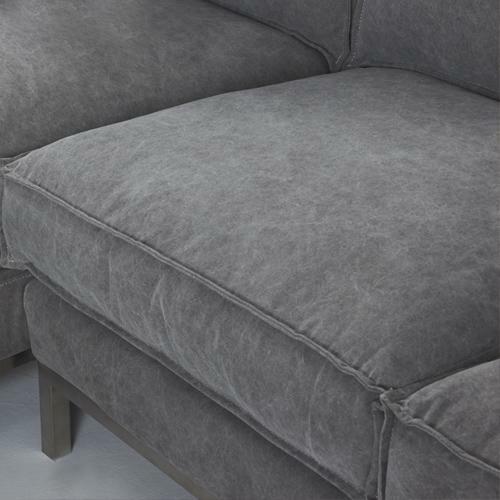 Detailed with a Greek Key geometric motif, this is a versatile addition to contemporary indoor living areas. Pillow is hand-woven in India with a fine wool. Greek key geometric blue / grey designs in blue/grey contrast in 100% natural indian wool. 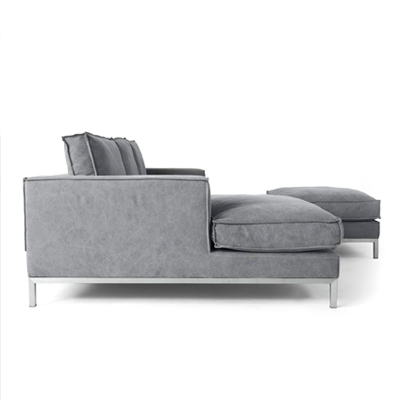 Solid hardwood frame with brushed aluminum raised legs is built to last. 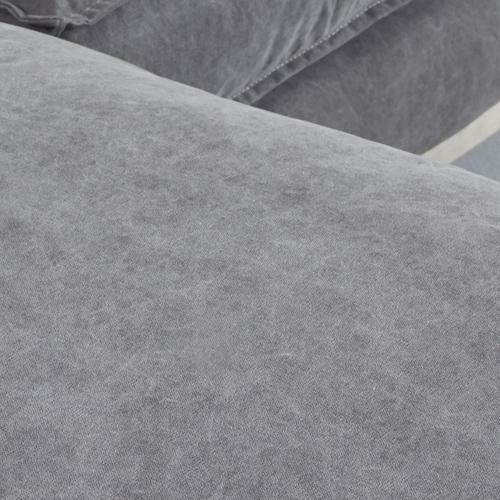 Overstuffed box cut cushions with light contrast double edge outer stitching adds a luxurious, carefully distressed look. Styled in 100% canvas linen cotton in Stonewashed Grey. Large ultra soft Mongolian fur throw pillows with silver tones and blue/grey contrast.